In contrast to the past season (which only managed to produce a few watchable shows, including the indelibly gripping Boku Dake Ga Inai Machi), there seems to be a fair number of promising anime shows this time around. This early, I have already marked a few titles that I would happily watch until the last episode — Anne Happy, Bungou Stray Dogs, Kuma Miko, Kuromukuro, Shounen Maid — and then, there is Flying Witch (JC Staff). If, like me, you harbor fond thoughts of that Hayao Miyazaki classic, Kiki’s Delivery Service (Studio Ghibli), you will most likely be partial to Flying Witch, too. In fact, after the first 5 minutes I was practically seeing Makoto (the titular witch of this series) as a slightly older version of Kiki, because they share so many similarities — both of them are budding witches-in-training and have to leave their homes in order to become full-fledged members of their order, both have black hair, and both have black cats as their familiar. 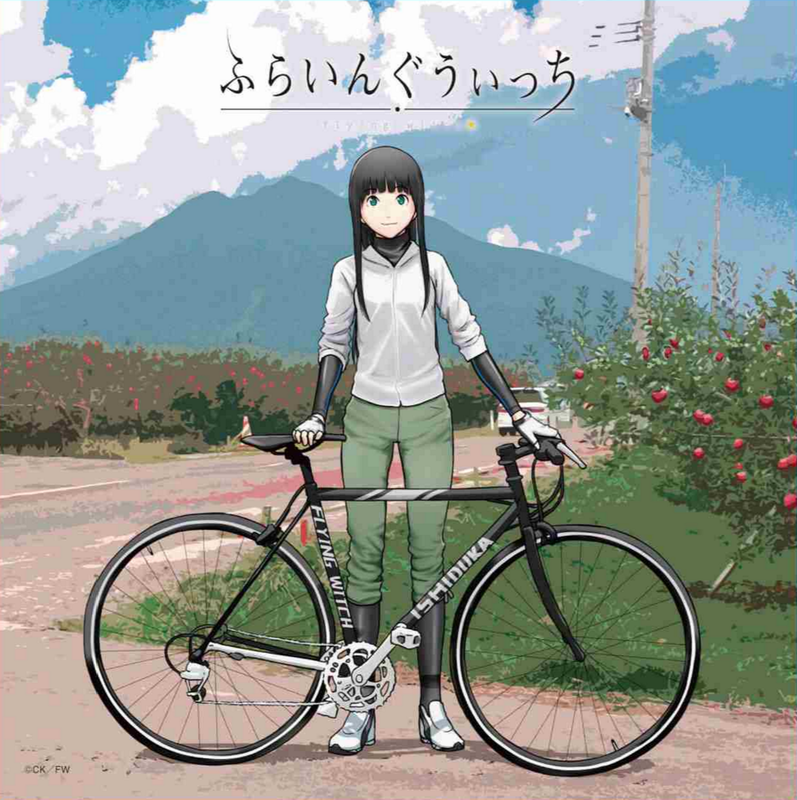 This slice-of-life series moves at a slow, meandering pace, but it is served well by its gentle humor, quirky characters (Makoto’s ditziness and horrible sense of direction make her even more irresistibly charming), and gorgeous artwork. There are a couple of shows that I am still keeping my eye on — Mayoiga and Haifuri. It’s still 50:50 for me at this stage, although I am already strongly tempted to write them off. They seemed to be okay at first, but I am slowly edging away from them for a couple of reasons. In Mayoiga‘s case, despite a promising start, I immediately got turned off by its cast of characters, who seem to be a bunch of much-parodied standard over-the-top cliche characters, it’s almost like being hit in the head every time you hear them spout stale lines. As for Haifuri, the premise of tasking a bunch of schoolgirls to handle warships and make command decisions with minimal training — and still manage look cute and girly while doing it — is just too much of a stretch, even for me. 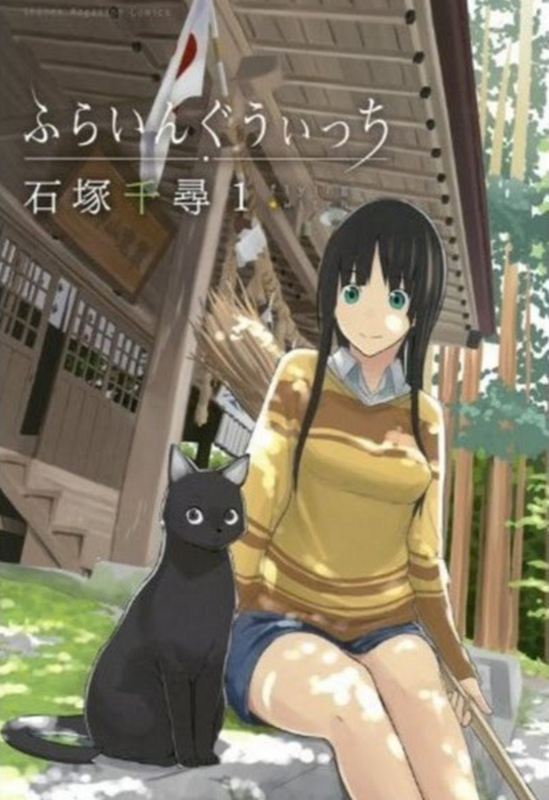 If you focus to Flying Witch, then you should try another form of Flying Witch too. In Facebook, There’s “Flying Witch Petit” clip, short anime for promoting main series. So I watched. I watched this 2 minutes anime and maximum kawaii 3D punches sent me flying & knockout like that from this overwhelming power, their cuteness are too much for me. That’s why, after I recovered (from injury), I did anime review for respecting their level SS cuteness. warning: please prepare your body & soul before proceed it.